The summer is in full swing, so that means a lot of time spent outdoors. One of our favorite summer pastimes is pick-up basketball. While playing ball in playgrounds across America everybone runs into the same types of people. There's always the peson that calls every foul, the guy that cheats his way to victory, the hacker who's favorite player growing up with Bill Laimbeer, the young kid that'll make you a YouTube fail, among some other frequenters of basketball courts. 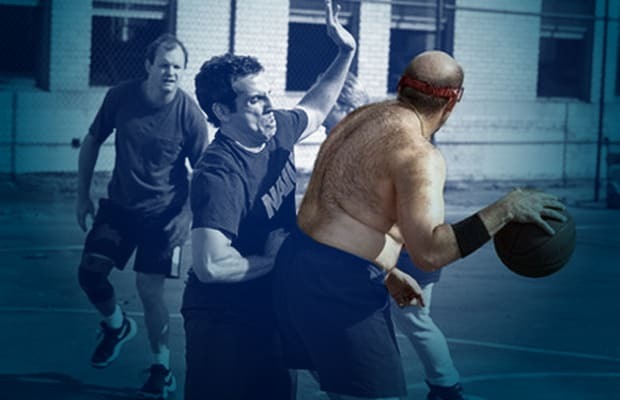 See if you can relate to the 15 Types of People You Meet at Pick-Up Basketball Games.